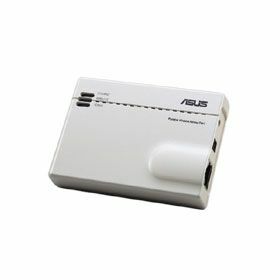 The ASUS WL-330gE is compact and portable - weighing in at only 2.2 oz and being only 85 mm(L)* 60 mm(W)* 17 mm(H) in size. This petite size makes it easy to carry and implement under any situation and truly makes the ASUS WL-330gE shine. 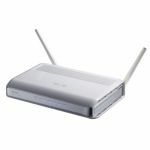 With such portability, it is able to provide wireless access to the Internet easily and without hassle. 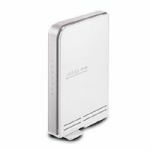 To utilize the WL-330gE under AP or Gateway mode, users just have to simply connect it to the Ethernet port on the modem or a LAN connection, and it is ready to go. This is crucial when a meeting room has only one Ethernet connection and there is a need for multiple connections to the Internet. What´s more, the WL-330gE can provide superior flexibility when building a wireless network by supporting NAT and DHCP servers to enable Internet sharing. This is especially useful when you are in an outside hotspot. With the WL-330gE´s "hotspot mode" under the Gateway mode, not only can your laptop access the Internet, your (or your friend´s) other WiFi devices like PDAs, PSPs or WiFi phones can access it as well with no extra cost. Easy to carry and easy to implement under any circumstance. Only one Ethernet cable in the meeting room? Use WL-330gE to share the internet access wirelessly. With WL-330gE´s 130ft(40m) indoor range, you can work with your notebook wherever you feel most confortable. With WL-330gE´s "hotspot mode" under gateway mode, not only your laptop can get on the internet but your (or your friend´s) other WiFi devices (PDA, PSP, or WiFi phone) can access the Internet without extra cost. Under WL-330gE´s Ethernet adapter mode, you can convert all the Ethernet-capable devices (printer, desktop,..) into wireless. 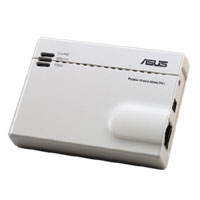 Additionally, in Ethernet adapter mode, the WL-330gE can convert Ethernet-capable devices (desktop, network printer, game console, set top box) into wireless ones. It can even become a universal repeater to extend the wireless signal coverage. 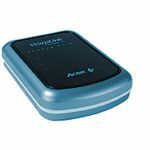 With an easy-to-use setup user interface, you will just require a few clicks to finish setting up for easy wireless Internet access. You only need to find the WL-330gE using "Device Discovery", then click on "Configure" and choose the mode you require, and the WL-330gE is ready to go. Featuring a driver-free Plug´ n´ Play function, Just plug your configured WL-330gE to your modem/router or the Ethernet-capable device, then your WL-330gE is ready to go! Wireless Internet access has never been easier.